TEMPE, AZ, USA, March 21, 2019 /EINPresswire.com/ — nQueue, the leading provider of information workflow technology to the legal industry, today announced that the national law firm Dykema Gossett PLLC has left its longtime cost recovery solution and switched to nQueue. nQueue Embedded will be installed on all of the firm’s more than 100 multifunction devices across all 13 Dykema offices and will be relied upon for tracking and recovering copy, print, and scan costs by all of the firm’s more than 350 attorneys, legal professionals and support staff. In addition to the installation of nQueue Embedded firmwide, Dykema is also rolling out nQueue’s print management solution, Print AnyWhere. Print AnyWhere separates the sending of a print job from the releasing of it at the device, so attorneys who choose to use it can benefit from better information security and privacy by eliminating the risk of confidential documents lying visible in unsecured areas. Print AnyWhere also applies rules to reduce printer waste and misuse and saves paper and consumables. “Combining our cost recovery and print management products is a proven way to control costs and recover more of the costs that are incurred,” says John Gilbert, senior vice president at nQueue. Dykema serves business entities worldwide on a wide range of complex legal issues. Dykema lawyers and other professionals in 13 U.S. offices work in close partnership with clients – from start-ups to Fortune 100 companies – to deliver outstanding results, unparalleled service and exceptional value in every engagement. For more information, visit www.dykema.com. nQueue provides software-based information workflow solutions to more than 35 percent of the largest 250 law firms in the United States, seven of the top 20 in the U.K., seven of the largest 35 in Australia and five of the top 10 globally. The company’s document scanning and routing solutions enable firms to capture, format, route and control scans to improve security and reduce costs associated with document retention and retrieval. Its cost recovery solutions assist firms by enhancing the automation and processing of any operational and administrative expenses, including print, copy, scan, phone, fax, travel, court fees, research, overnight, courier costs and credit card charges, and its print management solutions increase print security while reducing misuse and waste. All of nQueue’s software offerings work with and without cost recovery and can be embedded directly into multifunction devices or reside on tablet computers to provide clients with the knowledge required to run their businesses more profitably. 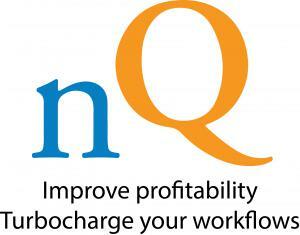 nQueue is a wholly owned subsidiary of Reckon Limited and the only truly global cost recovery company. To learn more about nQueue please visit www.nQueue.com. Previous Previous post: World TB Day 2019: TB Patient's Contemporary Account Accepted into the Holdings of the Robert Koch Library, Berlin.